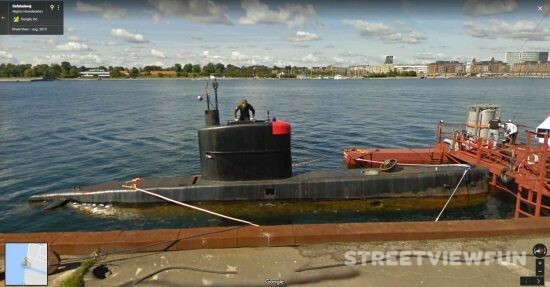 On the evening of August 10, 2017 the submarine UC3 Nautilus left this exact location in Copenhagen. Peter Madsen (seen in the image below) who built the submarine and the swedish journalist Kim Wall were the only ones inside Nautilus. She never came back alive. When they didn’t return later that evening a search began. 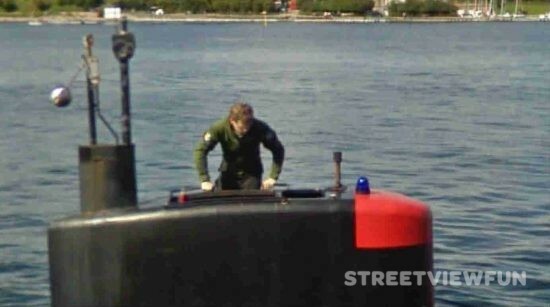 The next day the submarine was spotted in a bay South of Copenhagen by a boat. According to reports Madsen deliberately sank the submarine when the boat got closer. He then jumped off the submarine and swam to safety. Police brought the sub to land and opened it, but there was nobody inside. 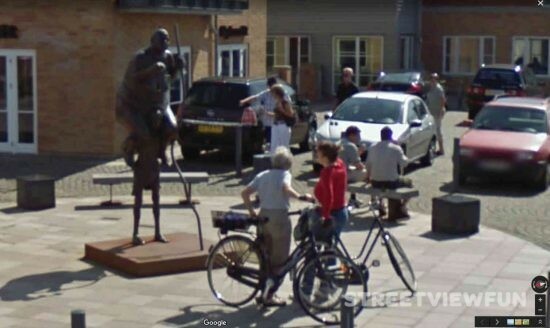 Her torso was found a few days later along the danish coast. Madsen has been charged with murder. The day Google took these images in August 2010, the submarine helped push a rocket launch platform towards the launch site. You can see a news crew from TV2 News at the scene if you pan around.